Starting or buying your own business, whether it’s Industrial, Service, Innovation or the Café you’ve always dreamt of owning, is a hugely important decision. After taking that step, you are faced with opportunities, rewards, challenges & disappointments, all in equal measure. Most of the time you love it, sometimes hate it but it will be the most fulfilling career experience imaginable. Owner managed businesses are very special, having the ability to make instant decisions to react to whatever lies before us & reap the benefits, while others continue to sit and ponder gives us the confidence to grow & achieve. Making the most of what each day brings, having the desire, tenacity & ambition to make the business the best it can be, better than the competition & providing an experience that ensures our customers return time & again, whatever our industry. All business owners are faced with the same challenge. At some point, we have to consider an exit strategy: to sell, have a succession plan or simply close. It is important to consider an exit strategy early, as it will affect decision making during the life of the business & to enable the best future outcomes. If the decision is to sell (or consider selling, it’s never too early to plan a sale), then engaging the services of a professional business broker is essential. Someone who will engage personally with you & your business, become a stakeholder, be honest & forthright, capable of managing your expectations, engaging & negotiating with buyers to achieve the best outcome, most of all to allow you to continue to run your business with the minimum of distraction. What gives me the right to make these comments? What I have described is my own personal experience. In addition, you still need the collective back up, knowledge, experience & reputation of a Business Brokerage. 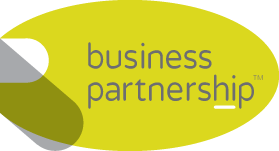 Business Partnership is one of the UK’s leading business broker, with almost 40 years experience.